OREP specializes in placing errors and omissions insurance for real estate appraisers, home inspectors, real estate agents and brokers, mortgage field service professionals, mortgage brokers, title and others. OREP offers the lowest rates on appraiser’s insurance with same day coverage & confirmation (most cases). For instant E&O quotes for appraisers click here. 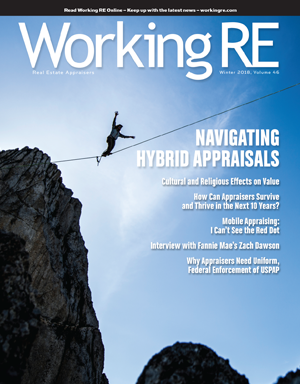 OREP is the publisher of Working RE Magazine and Working RE Home Inspector, the most widely read publications in the real estate appraisal and home inspection industries. WRE keeps you up-to-date on industry-specific news and its focus on business and risk management topics will keep your business running smoothly and profitably. widely distributed real estate appraiser magazine and the Number #1 source of appraisal news and information in the country. Now in our 16th year, publishing honest and timely information for real estate appraisers is our goal. Working RE Home Inspector is the most widely read home inspector magazine in the inspection industry, reaching over 20,000 home inspectors nationwide. 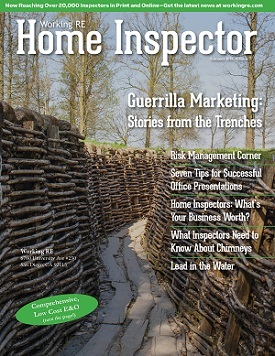 WRE Home Inspector covers the latest information, issues, and news that home inspectors are currently dealing with today.